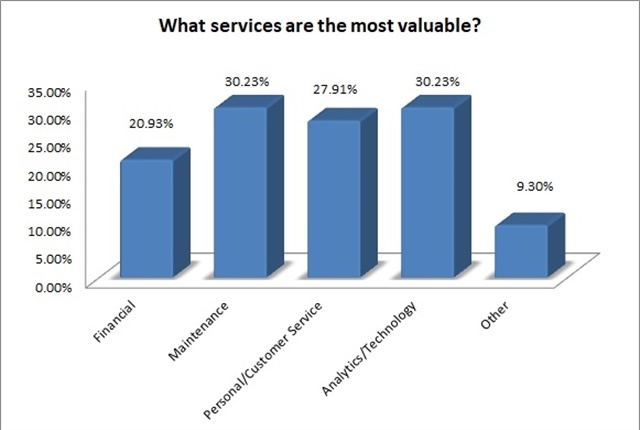 What services are most valuable? Charts by Dylan Brown. Conventional wisdom suggests that a fleet manager's satisfaction with a fleet management company is based on the savings they offer through fuel or maintenance packages. It turns out that a greater factor relates to intangibles such as customer service and knowledgeable account representatives. 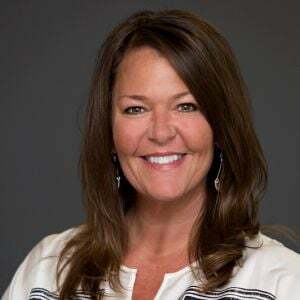 Bobit Business Media recently conducted a survey asking medium and large commercial fleets about their experience with fleet management companies (FMCs). In this survey, we wanted to get what people really thought about their FMC and what they liked or didn't like, so we left a lot of questions open-ended to hear some unbiased thoughts. Two of the more interesting questions we asked were, "What are the most valuable services that your FMC offers?" and "What services would you like to see added?" As the results rolled in, it became clear that there were a few major themes about what respondants wanted to see more of from their FMC. 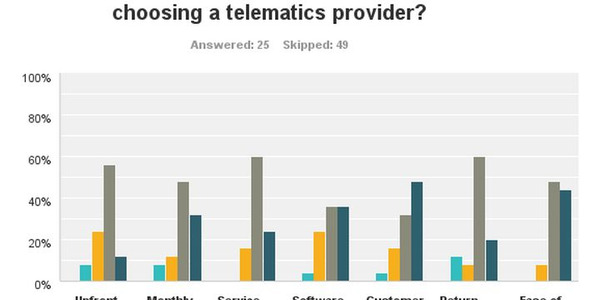 The most valuable services offered were analytical (telematics, predictive analytics, etc. came in at 31%), personal services (customer service, account rep, etc. came in at 28%), and maintenance packaging (came in at 31%). It's interesting that the more cut-and-dry financial or leasing services didn't rank as highly as the others, with only 21% stating this was the most valuable feature. What services would you like to see added? This really highlights the shift away from FMCs as pure leasing companies, as FMC customers focus more on the complete package of fleet management. As technology becomes more and more prevalent, demand will only increase for features such as centralized reporting, predictive analytics, and telematics services. 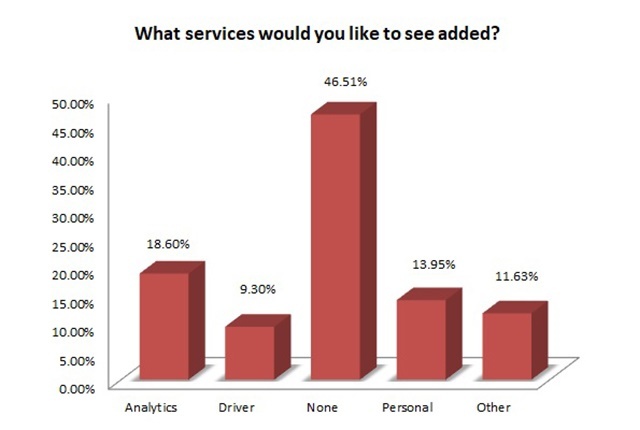 Something else interesting is that nearly 47% of people didn't see a need for other services from their FMC. Either these people are highly satisfied with the plan they already have, or aren't aware of the additional features that could be offered to them. 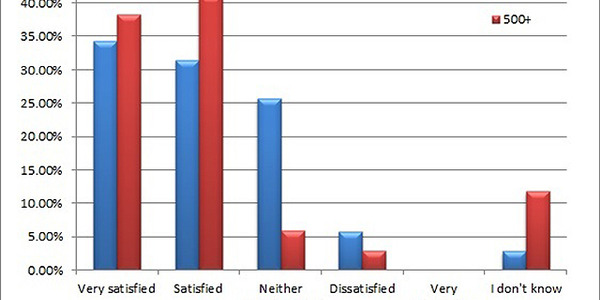 A significant portion (19%) would like to see more analytical capabilities offered by their FMC. What also warrants attention is that fleets that were the most satisfied with their FMC said that because of intangibles such as customer service. 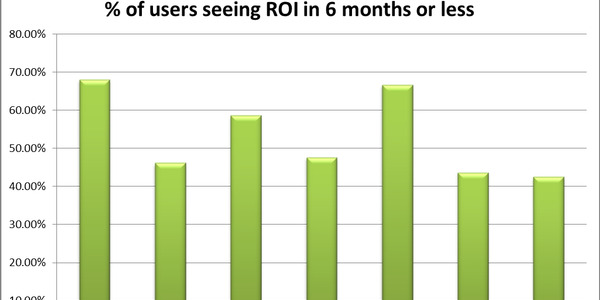 So while many FMCs market features or discounts they're able to achieve, we found out that it's the little things that keep customers coming back to the same vendor.